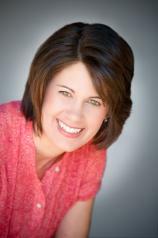 Kristin Billerbeck has been credited for introducing chick-lit to the Christian book market. When chick-lit was no longer considered a hot commodity in adult fiction, Billerbeck went on to pen a couple of novels for the YA market (where the chick-lit style is still in demand). She now returns to adult fiction with A BILLION REASONS WHY, a light-hearted romance. This is not exactly the chick-lit her readers have become accustomed to, but I have to start by saying there are a billion reasons why you should pick up this book. Eight years ago, Katie McKenna was publically rejected by her one true love, multi-millionaire Luc DeForges. She moved away from her hometown of New Orleans, giving up her career as a singer and dancer to become a special needs teacher in California. She has rebuilt her life and is even anticipating an engagement to Dexter, a sensible choice for a husband. He is safe, stable, and has all the qualities she's been looking for. Luc shows up and asks Katie to come back home to sing at his brother Ryan's (also Katie's former dance partner) wedding. Katie is torn. Besides still harboring a grudge about being humiliated eight years ago, Katie doesn't quite trust herself with the charming and irresistible Luc. With Dexter's blessing, she eventually agrees to go, convincing herself she is only going back as a favor to Ryan and to retrieve her grandmother's wedding ring so Dexter can finally propose. She is also determined to find closure in her and Luc's relationship once and for all. This story is basically one long game of tug-of-war between Katie's heart and mind. In her head, she knows Dexter would be the practical choice. But her heart is drawn to Luc, who knows her inside and out and loves her for who she is. Luc seems sincere as he professes his adoration, but self-preservation, not to mention her stubborn pride, prevents Katie from letting down her guard and trusting that Luc won't shatter her heart yet again. Romantic tension abounds as Luc pursues and Katie pulls back. It is never really a mystery as to which man Katie will choose in the end. As she continues to fight her feelings, there may be times when you want to reach through the pages and slap some sense into Katie yourself. But even though the story's ending is predictable, the charming characters and snappy dialogue that Billerbeck is known for makes A BILLION REASONS WHY a fun and satisfying read. Two aspects make this story especially stand out from the typical romance. The backdrop of New Orleans, rich in culture and energy, is bursting with vivid descriptions and landmark references, bringing the reader along for the ride. Then there's the '40s theme. Katie is passionate about the age of Ginger Rogers and Fred Astaire, something Luc "gets" about her, but Dexter can't relate at all. Even if you're not that interested in old movies or 1940s-style dance and fashion, after reading this book, you may learn a thing or two and find yourself more than a little intrigued. A couple of memorable characters include Katie's Mam, a straightforward woman with plenty of southern hospitality, good for several laugh-out-loud lines. Opinionated Eileen, Katie's best friend and yoga instructor, is a hoot. She's skeptical and outspoken about both Luc and Dexter, but it's clear that she only loves her friend and wants what's best for her. It is during a scene near the end of the book that Mam and Eileen team up to make Katie consider whether true love is ever really "safe." This brings everything back to that game of tug-of-war Katie has going on. Is playing it safe really God's will for her life, or does He want her to follow the pull of her heart? Overall, A BILLION REASONS WHY is a fun, light, clean romance that will leave you with a smile on your face, a sigh on your lips, and a dance in your step.